Quarrymount Free Range Meat Products, Killeigh, County Offaly. 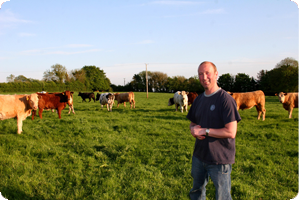 Quarrymount Free Range Meats are produced from the cattle farm of Ray Dunne, near the village of Killeigh, Co Offaly. The attention to detail in both animal husbandry and traditional butcher skills provides customers with a top quality meat product and service not always available from larger retail outlets. The cattle graze in a natural outdoor environment and the best quality early-maturing animals are selected for sale to our many customers at various farmers markets. The beef is traditionally 'dry-aged' in order to deliver customers a tender and flavoursome piece of beef. Free range chickens and speciality beef sausages are also available at the market stall. The meats can also be purchased through a meat box scheme either for collection at the farmer's market or delivered to your own home. So when choosing Quarrymount Free Range Meats you can be confident that you are buying superior quality meat direct from the farm. You can also be assured that the cattle have been reared naturally to the highest standard of animal welfare. You can select from 2 different pack sizes of premium quality meats competitively priced. Getting your meat could not be easier, with delivery and pick up options available. My farm is a grass based cattle farm based near the village of Killeigh, County Offaly. Animals farmed free range are healthier, happier and contribute to a greener, cleaner environment. I can be found at various farmer's markets and food events around the country. Download our latest promotional flyer here and save more money. 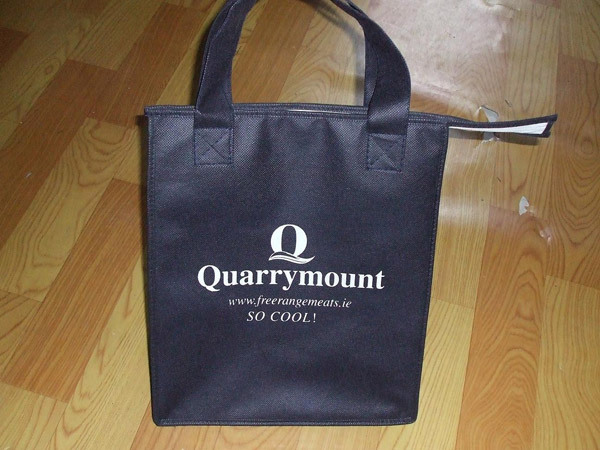 All orders over €20 in value will receive a FREE Cool Bag from Quarrymount Free Range Meats! Place an order here.